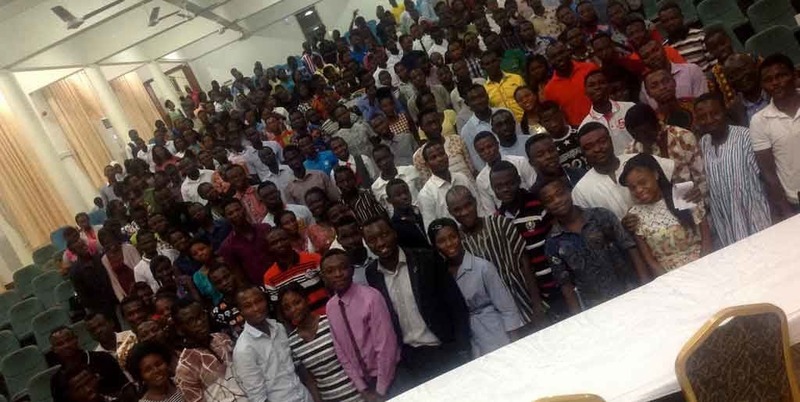 Kumasi, Ghana—Innovation Foundation or INNOFOUND was formed by four students pursuing agricultural engineering at the Kwame Nkrumah University of Science and Technology (KNUST) in Kumasi, Ghana. 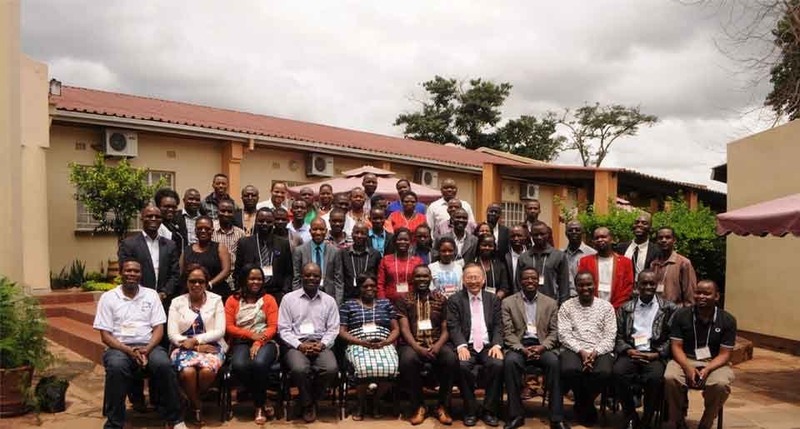 The idea began with one student who had participated in Parts 1 and 2 of the Transforming Leadership & Governance seminar held in the 2015/2016 academic year. Later, this young man recommended the seminar to three of his friends. These friends took part in TLG seminar Part 3 and then the four formed a team to design machines to enhance the methods of farming in rural Ghana. Research was conducted interviewing farmers in the Eastern and Western regions of Ghana (who use hoes and machetes as cropping tools), several expert technicians and mechanics were consulted, and information was gathered from the Internet. The young men found out just how time consuming and backbreaking the planting process still was. 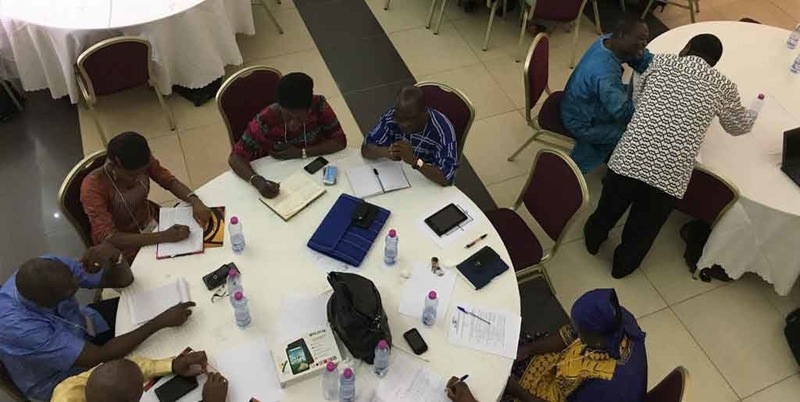 Lomé, Togo—The country’s second round of Transforming Leadership and Governance seminars (TLG) took place from December 11-14, 2017. In order to facilitate the training for as many people as possible, ILF organizers conducted two workshops during the four days: TLG seminar 1 with 20 participants, and TLG seminar 2 with an additional 20 trainees. Transformation Projects (TPs) for the two groups had been selected during an earlier TLG seminar and new people were added to their rosters during these two workshops. The TPs are scheduled to be conducted from December 2017–October 2018. One is called, “Non-public spirited” and will be conducted at the bus station of Agbalapedogan in Lomé. The second TLG seminar group chose a qualitative care project to be conducted at the Regional Hospital of Lomé Commune. Staff members in Togo are already planning the next TLGSs and some suggested themes for their TPs include: management of the community, how to achieve political dialogue, fighting corruption, effective leadership, conflicts management, depression (stress), public property, national awareness for a country’s development, relationship between spirituality and other things (i.e., the spiritual foundation of change, applying the notions of leadership in the family, moral vision in depth, etc.). South Korea—From February 13-15, 2017, a Transforming Leadership and Governance seminar (TLG) Part B was held in JinJu City. 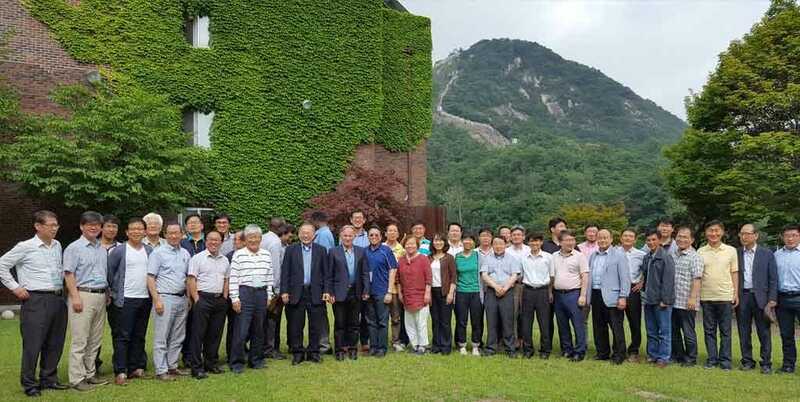 There were 63 participants who were led by a team of speakers including: Rock Yoon, Kiyoung Kim, Sanglim Choi, David Oh, and Kee Moon Chang. Of those in attendance, 34 people completed the training. Overall, trainees were satisfied with the seminar. Just as the Asia Leadership Foundation (ALF or ILF in Asia) finishes one seminar, they look to the future and will hold a Facilitators’ Training and continue working on Transformation Projects. In addition, ALF will hold a short information session on TLG seminars before the main sessions at Pohang City and Yeosu City. In the realm of education, ALF has an agreement with Kyungsung University in Busan City, to teach the 12 TLG sessions as subjects for general education. This highly anticipated partnership began in March 2018.